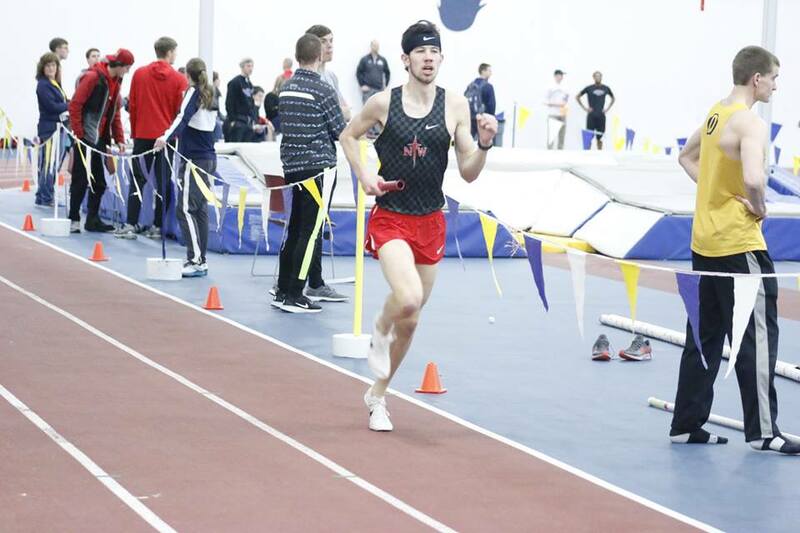 The Red Raiders had a busy weekend in Storm Lake as they competed at the annual Dennis Young Classic indoor track meet hosted by Buena Vista University. Northwestern had the opportunity to compete against a few GPAC teams, including Dordt College and Morningside College. Both the men’s and women’s teams competed well, with 21 top five finishes on the women’s side and 18 on the men’s side. The NW women finished second with 149 points. Dordt took first with 169 points and Morningside’s women took third place in the team standings with 111 points. The Raider men finished third this weekend with 123 points, right behind Morningside with 129 points. Dordt’s men took first place at Storm Lake with 162 points. Junior Kenzie Keune competed in the 60m dash, winning with a time of 9.51. Sophomore Jada Carlson also competed in the event and finished in third place at 9.71. Senior Rebekah Muilenburg took home the 600m run title. Muilenburg finished her race in 1:40.8, with second place nowhere in sight behind her. Muilenburg currently has the third fastest time in the GPAC conference. Junior Katrina Engebretson ran 2:24 in the open 800m run and took first in a close race, beating a Dordt runner by less than a second. Engebretson currently has the second fastest time in the GPAC. Teammates junior Kelsey Lang and sophomore Anna Teigland ran personal bests in the season, with Lang finishing in third at 2:29 and Teigland in fifth at 2:32. On the men’s side, four athletes qualified for nationals on Saturday. Junior Jackson Johnson, a previous qualifier, jumped 6’7.5”. This height was good enough to take home first place at the meet and put him with the third best mark in the GPAC. Freshman Justus Adams won the 60m hurdles with a time of 8.40. Adams was 0.3 seconds ahead of the second place runner and met the provisional mark for nationals. Adams also finished third in the 200m dash and helped the 4×400 relay team to a second place finish. Senior Peter Hollinger was the last Raider to meet a NAIA qualifying standard for the day, meeting the provisional mark in the 600m. Hollinger won the event in 1:22.75 after anchoring the 4x800m relay earlier that day. The relay team met the automatic qualifying standard with a time of 7:55. Senior Caleb Benzing, sophomore Josh Van Dusseldorp and junior Chase Bulten were the other competing legs on the relay. The time is the second fastest in the GPAC and third in the NAIA. Red Raider track competes starting at 9:30 a.m. on Saturday, Feb. 2 at the Dakota Wesleyan University Open in Mitchell, SD.